I wondered, why these three? What’s the significance of these things? How are they even remotely connected? Then I realized, these are pretty significant demonstrations of who God is and what He wants to be to us: 1) His instructions to us, 2) His provision for us, 3) His leadership over us. Apparently these are required for His presence to be in us. Coincidentally (or maybe not) these are also three things that are usually the toughest to trust God with. Most of the time, I’d really rather do things my own way, determine how much provision I need and how I’m going to get it, and decide which leaders I’m going to follow. But believing in and relying on God for His instructions, His source of provision and the leadership He appoints over me are really what being a believer is all about. They’re indications that I’m a follower of God, submitted to His will. Because these are not my natural tendencies, I have to choose every day to “opt-in” to His instruction, provision and leadership, resisting the temptation to do things my own way, depend on other things to provide my security, and change leaders when I want. These days, this is how God’s presence is manifest on earth — through people who submit to Him in these three areas. This is a new level of intimacy with the Father beyond anything we’ve experienced so far in the tabernacle. At the altar of incense just outside the curtain we saw that we can partner with God’s will through intercession. But in the Most Holy Place the relationship changes. Let’s revisit our original illustration of the father and son. In the Holy Place, the son was brought into his father’s business with the Holy Spirit revealing the father’s heart (through the Menorah) and helping him to intercede according to God’s will (at the Altar of Incense). But now that relationship has matured. 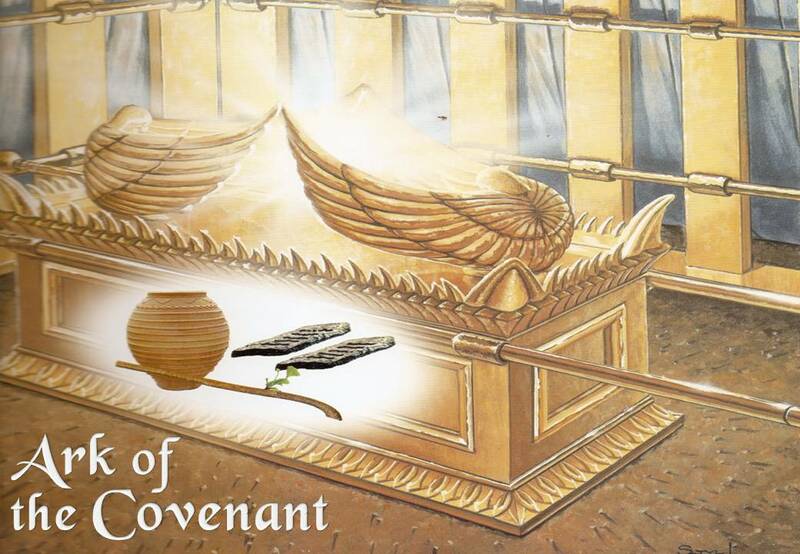 Entering the Most Holy Place and standing in front of the Ark of the Covenant and the Mercy Seat, the son understands his true place with the Father. As we progress through the tabernacle in every area of our lives, submitting more and more to Him, it’s this complete submission, obedience and full intimacy that our Father, YHWH desires for us. Ask yourself this question, “How deep do I want to go in my relationship with my heavenly Father? How far into the tabernacle am I willing to progress?” God gives us an open invitation and continually calls us closer and closer to His side. It’s up to us to respond. For a comprehensive list of the gifts God offers us, read Ephesians 1:3-14. In our next blog we’ll look at how Yeshua is now our tabernacle. This entry was posted on August 17, 2012 by Administrator. It was filed under Ark, God's Presence, God's Provision, God's Will, Power, Submission, Supernatural, Tabernacle and was tagged with 10 commandments, aaron's rod, Aaron’s staff, Ark of Covenant, Ark of Testimony, cover of the ark, Eph 3, Ephesians 1, Especially holy place, Exodus 16, Exodus 24, Heb 9, His will on earth as it is on heaven, Holy of Holies, inside the ark of the covenant, Inside the tabernacle, John 14, Joshua 3, Joshua 6, leadership, manna, Mercy Seat, Messianic, Mishkan, Most Holy Place, Numbers 17, obedience, Proverbs 3, tent of meeting. Thank you for this wonderful description! Instruction, provision, leadership! I came across this page quite by accident and am so very thankful. Looking forward to reading the whole thing. Bless you!